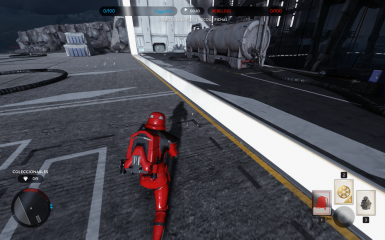 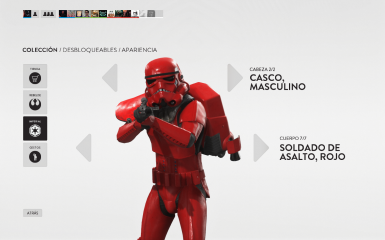 Make your stormtrooper look a beautiful crimson color. 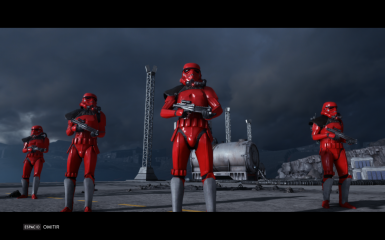 Magma stormtroopers, commonly referred to as magma troopers or lavatroopers, were a specialized division of the Imperial stormtroopers. 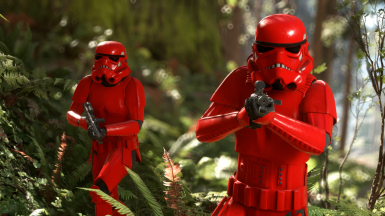 Specifically trained to operate in active geologic vents, they were responsible for crushing revolts and other insurgent actions on volcanic mining planets such as Mustafar and Sullust, as well as defending any volcanic mines filled with rare ores from Rebel guerillas. 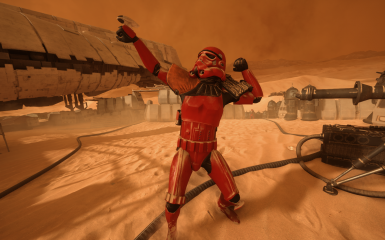 Magma trooper armor was specially designed to withstand extremely high temperatures, including some direct contact with volcanic magma. 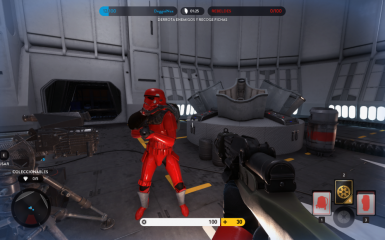 The armor was reinforced with Duravlex, and is capable of withstanding extreme temperatures of up to 1,900 degrees centigrade. 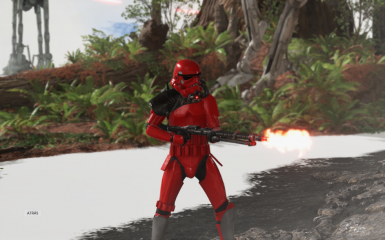 Magma troopers were also equipped with SS-Mobile-tech flamethrowers and heavy blasters.